Find information in Oregon and other fun things to do. View our list of attractions, activities, events, restaurants and visitor information. 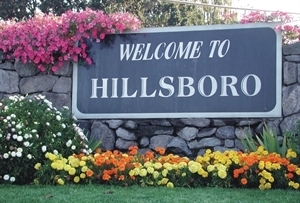 Come Visit, Play and Stay Hillsboro is home to the many high tech companies including Intel, SolarWorld, Genentech, Triquint and many more. We also host the Washington County Fair, Oregon International Air Show and other special events. The Lincoln City Visitor and Convention Bureau (VCB) promotes tourism to the Lincoln City area and develops tourist attractions. The VCB also oversees the Jennifer L. Sears' Glass Art Studio, the Culinary Center in Lincoln City and the Visitor Center. The Lincoln City Visitor and Convention Bureau (VCB) promotes tourism to the Lincoln City area and develops tourist attractions. The VCB also oversees the Jennifer L. Sears Glass Art Studio, the Culinary Center in Lincoln City and the Visitor Center. Medford Oregon ? A Great Place for Entertainment in the Rogue River Valley Medford Oregon is well known as being the professional, retail and touring center of southern Oregon and northern California. Roseburg Area Chamber of Commerce & Visitor Center, Oregon Roseburg is the heart of the scenic recreational paradise known as the Land of Umpqua. This land of authentic outdoor adventures and experiences is bordered by picturesque rivers, lush valleys and one of Oregon’s premier wine regions. We are Portland's go-to destination for upscale women’s consignment treasure-hunting in Portland Oregon. Visit our high-end consignment shop near you.